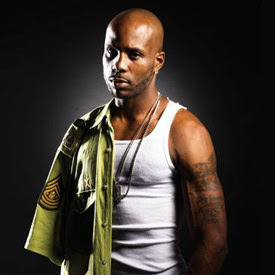 In DMX news, the rapper is officially brain-dead. "If and when you ever fall down, get back up. Drop something, stop fretting, pick that back up. Stand for something or fall for everything. Wait for the right pitch or miss with every swing." What this has to do with skipping out on a medical bill is anyone's guess. This comes four years after stealing a car at Kennedy Airport and then claiming he was an FBI agent once busted. How he is not already in a straight jacket with tapioca on his face at this point is beyond us.